The cold is thawing and with the turn of the season comes radiant blooms of beauty. SHISEIDO, the brand known for unparalleled beauty and scientific skincare, is introducing new vitality and beauty products that promise to deliver a total spring awakening. Check out our top picks to take you from winter ravaged to warm brilliance. With just one coat, Lacquer Rouge provides intense color and a lacquer-like finish by simultaneously adhering deep, rich pigments and a topcoat-like shine. 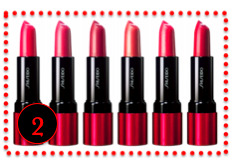 Continued use boasts improvement over dry, rough lips and leaves them deeply moisturized and smooth. Fortified Super Hydro-Wrap Vitalizing DE, an advanced moisturizing ingredient, this pop or drama blends color and moisture into lips for hours. The moist, radiant finish of Perfect Rouge Tender Sheer smoothes your lips with beautiful color. Dewy texture, even application minimizes the look of vertical lip lines. 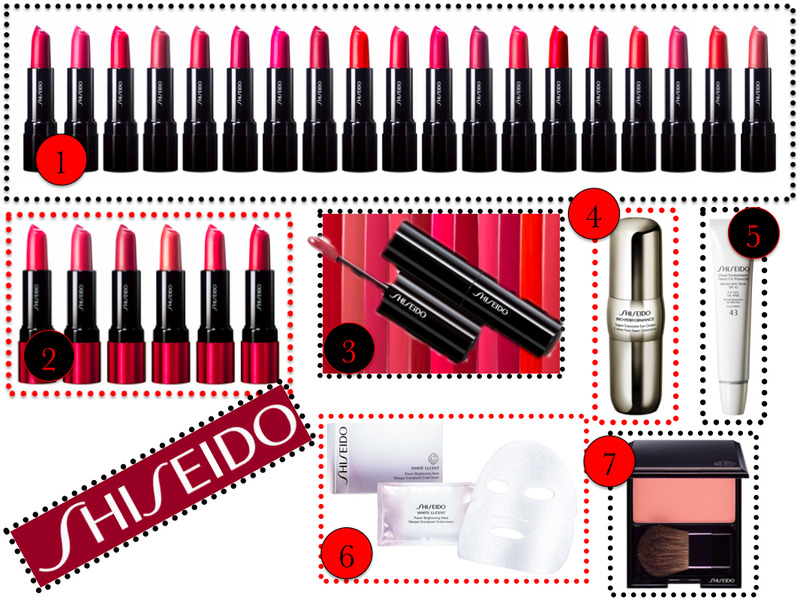 The chic, modern red package encases the color and expresses the unique signature of Shiseido. 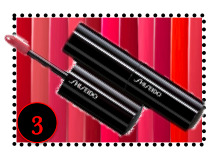 Rich, vibrant color that envelops your lips with just one lustrous coat. The creamy texture with nurturing ingredients improves the lips' condition with regular use. Specially sculpted shape and angle designed to create a beautiful finish with just one stroke. Enjoy a moisturizing effect that lasts all day long with the help of Hyaluronic acid to hold moisture in, and Super Hydro-Wrap Vitalizing DE that locks it in. Lips look naturally smooth. SHISEIDO’s new high-impact product goes beyond traditional moisturizing and wrinkle care alone. This technology-rich eye cream focuses on reviving the precious elasticity of the delicate skin around the eyes. The results are as dramatic as they are quick, with noticeable results in just 1 day, and distinct improvement after 3 weeks. Embrace an innovative eye cream that counteracts the tired look that appears with age around the eyes. Instantly notice improved eye contours, reduced wrinkles and minimized dark circles. Research shows that the skin’s surface is made up of microscopic ridges and furrows that can often cause gaps in sunscreen application, allowing for UV rays to penetrate and cause damage in the skin’s inner layers. To address this issue, Shiseido created the Urban Environment Tinted UV Protector SPF43, a sheer, oil-free tinted formula that defends skin against UV rays and environmental aggressors while providing flawless coverage. INNOVATION Urban Environment Tinted UV Protector SPF43 combines anti-oxidative and moisturizing effects to help maintain skin’s beauty with a hint of color, for a glowing, healthy-looking complexion. Ion Force Complex offers a powerful brightening solution that works in two steps to embed brightening ingredients in the skin and target excess pigment for immediate results and a distinct improvement after three weeks of use. The powerful ingredients permeate deep into the inner layers of the skin for higher absorption and more effective results while targeting excess melanin trapped in the skin. Specially formulated to provide immediate results, 80% of women reported that their skin became brighter, dewier and more moisturized immediately after use. This new makeup delivers radiant, healthy-looking skin with just one stroke. Each shade stays true without fading for all-day wear, and allows for effortless customization of color intensity. 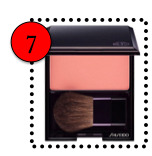 Blush is a vitality booster. Find one that illuminates by selecting the colour that is closest to the glow of your natural skin after exercise. The exquisite texture spreads easily, looking and feeling silky-soft on skin.